Introduced in 1930 and discontinued in 1932, these records were made from a flexible synthetic resin (Durium) coated on brown paper. What are sound recordings made of? Initially sound was recorded on wax cylinders. By the end of the 1920s, however, recordings were made of a heavy, fragile shellac compound. Producers began looking for better options and started experimenting with materials that were lighter, flexible and less fragile. One of these experiments, Hit of the Week records, were actually made of resin coated brown paper! This lightweight, flexible, “unbreakable” composition was unique and provided a 78 rpm recording with sound equal to or better than ordinary shellac. 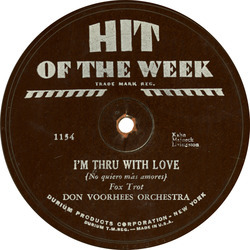 Beginning in February 1930 a new recording featuring a current “hit” song was released each week. They were sold at newsstands, likemagazines, with past issues being available by mail order. 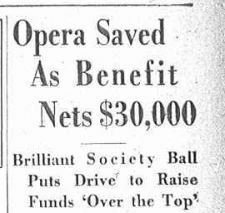 They were recorded on one side only and sold for 15 to 20 cents per recording. The unrecorded side was often printed with advertising or the performer’s portrait. They had a tendency to curl up over time and came in flimsy rice paper sleeves. 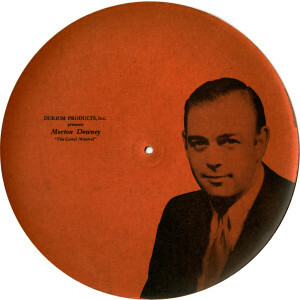 The unrecorded paper side of Hit of the Week recordings were sometimes printed with advertising a performer’s portrait, in this case Morton Downey. These recordings were a big hit with the public in the early days of the Great Depression and provided easy, cheap entertainment to the masses. However, as the depression wore on sales slumped. the last Hit of the Week issue was released in June 1932. The Recorded Sound Archives at FAU Libraries is pleased to share 39 of these original recordings with our website users. Due to US Copyright laws only 45-second snippets are available on our public website. Full recordings are available to RSA Research Station users. Click here to see and hear the Hit of the Week collection.